Save a Child’s Heart is happy to report on the successful joint German-Israeli-Tanzanian Teaching and Catheterization Mission that took place in the Jakaya Kikwete Cardiac Institute (JKCI), in Dar es Salaam, Tanzania, from November 23rd to November 27th, 2017. The mission was made possible by funding from Save a Child's Heart Canada. During this mission, 16 children underwent lifesaving catheterizations, more than 60 children were screened and diagnosed, and major achievements in training were made with our Tanzanian partners. The medical team was comprised of Dr. Katharina Rose Schmitt, representative of our German partner hospital in Berlin the Deutsches Herzzentrum (DHZ) under the leadership of Prof. Felix Berger; the Tanzanian team, led by Professor Mohamed Janabi; and the Israeli medical team from the Wolfson Medical Center (WMC) headed by Dr. Akiva Tamir and Dr. Sagi Assa. The first two days of the mission were dedicated to a cardiology clinic for Tanzanian children suffering from heart disease. Dr. Akiva Tamir headed the team that worked together to screen and examine more than 60 children. Among the children who came for a follow-up examination was little Miriam, a sweet little girl who underwent lifesaving catheterization during last year’s joint German-Israeli-Tanzanian medical mission and who was featured in a story published in BILD by a journalist who joined that mission. The doctors examined little Mariam and were very pleased with her condition. During the second day of the mission the team discovered a critically-ill newborn, Rahim, only 40-days old. He suffered from TGA (Transposition of the Great Arteries), which should always be corrected in the first few weeks of a child’s life. 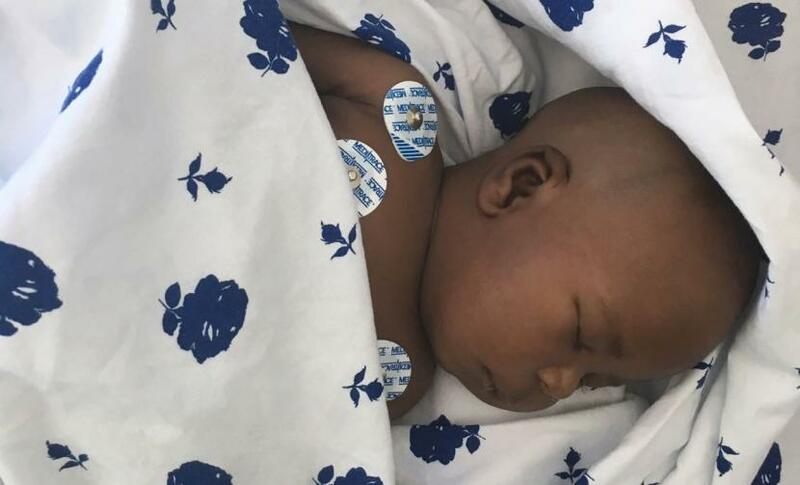 Dr. Vivienne Mlawi immediately performed a very complicated emergency procedure on the baby alongside Dr. Sagi Assa and Dr. Schmitt, to stabilize the child’s health. They were supported by Dr. Akiva Tamir from Israel and Dr. Naiz Majani from Tanzania who operated the echocardiography machine monitoring the procedure in real-time. 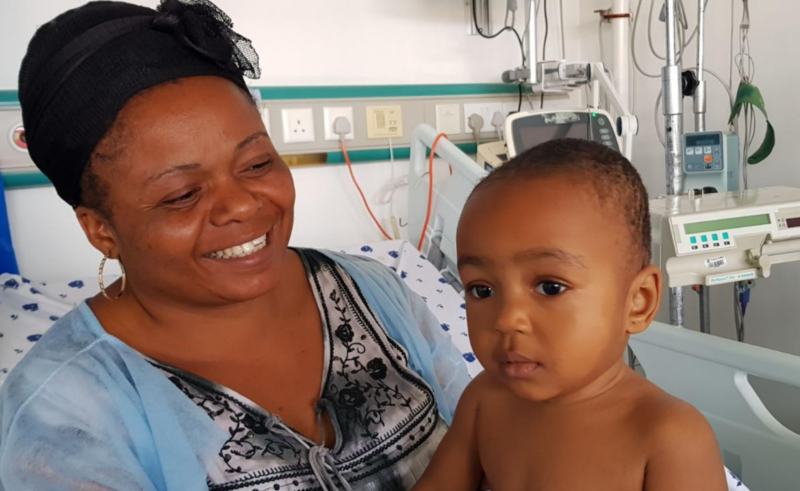 The child was brought to Israel a week after this procedure and he is now awaiting lifesaving heart surgery at Wolfson Medical Center. Even before the operation, his life has already been saved thanks to this unique Tanzanian-Israeli-German Cooperation. 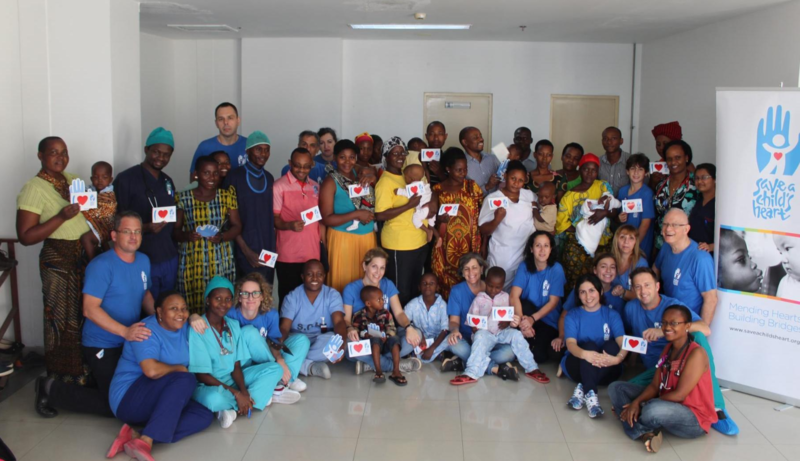 The follow up treatment was provided in the Intensive Care Unit by Dr. Vivienne Mlawi, who just returned from Israel after completing two years of training in Israel, and by Dr. Stela Mongeham, who provided care for the children at the ward. Dr. Stela is the wife of Dr. Godwin Godfrey, trained by Save a Child's Heart to be the first pediatric cardiac surgeon in Tanzania.